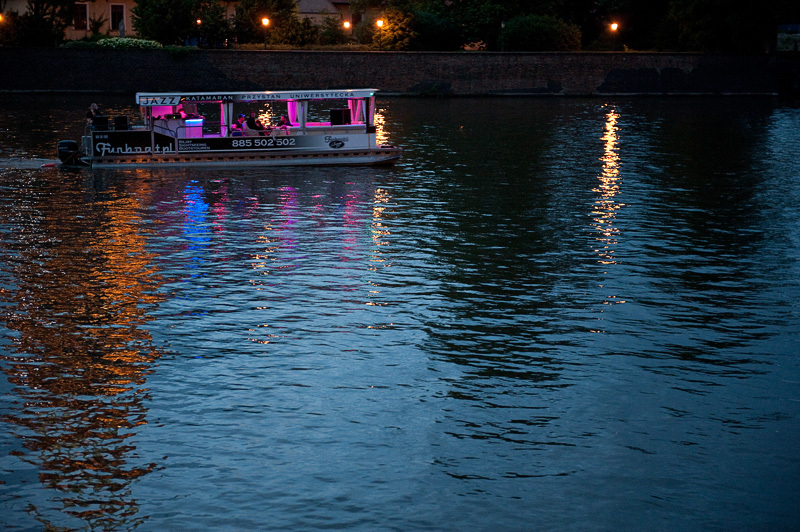 “We’re sailing!” : CAfE visits SURVIVAL Art Review in Wrocław, Poland. 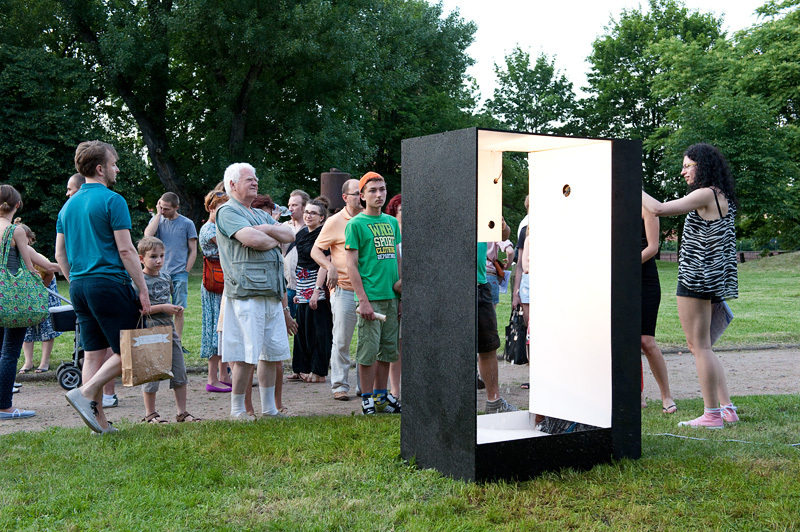 In the end of June 2013 all the partners of CAfE project visited SURVIVAL Art Review organised in Wrocław (Poland) by the ART TRANSPARENT Foundation. 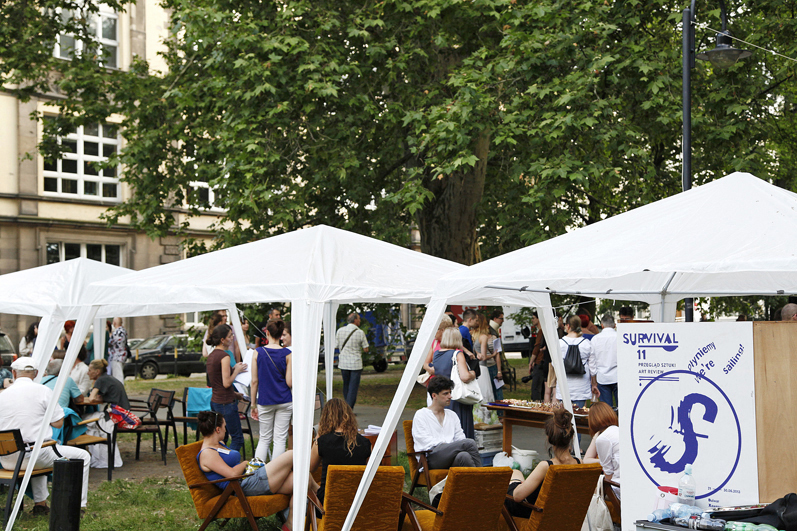 During the visit not only they had i chance to see the exhibition of SURVIVAL Art Review, but also to participate in meetings, debates and lectures dedicated to contemporary art in public space. 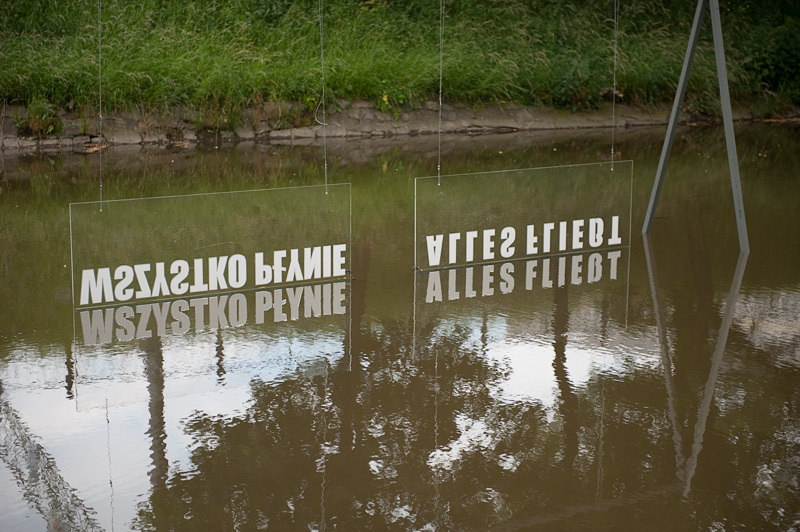 The eleventh edition of SURVIVAL Art Review was dedicated to the presence of a river in cityspace. It was an opportunity to extract and analyse artistically the role and meaning of the Oder in the everyday life of the inhabitants of Wrocław, to ponder the human need to be close to water and the symbolism we attach to it. The artists and the curators reffered to an array of notions and phenomena connected with the variety and multitude of forms water can take in urban conditions. Stagnant and flowing water, a mixture of water and air, water and land, puddles, ponds, dams, wells, fountains – each form of the element offers material and inspiration for aesthetic work and interpretation.The motto of the eleventh edition of SURVIVAL Art Review is ‘We’re sailing!’ (sentence form the movie ‘Knife in the Water’ by Roman Polański (1961), partially recorded in Wrocław Feature Films Studio). Artistic tales focusing on the subject of the river was supplemented, as it is the case each year, with narratives using other means of expression. Word, story, history, discussion – it is but a few of them. Situated in ‘strange’ and original spaces, the debates and lectures took on additional significance. The cruise on the Oder with Prof. Adam Grobler and his unique philosophical and culture-related tales about the river inaugurated the two days of SURVIVAL discussions. Alejandro Capdevilla – a Catalan architect and designer who managed to do this – revealed not only his idea for a ‘house on the water’ in Wrocław, but he also talked about the most interesting examples of such architectural objects on the water on the global scale. The discussion ‘Changing the Oder – Changing Nadodrze’ focused on the city and the river, on how to use their cultural/social potential for mutual benefit. The Sunday debates started with a difficult topic: ‘The 1997 Flood – Unique Combination of Carnival and Labour Camp’. As the curator of the debates Bartek Lis puts it, ‘We would like to reminisce about how the feeling of threat increased and when it became clear that it was necessary to take the matters into our own hands and cooperate. How did people deal with everyday problems in a city besieged by water? 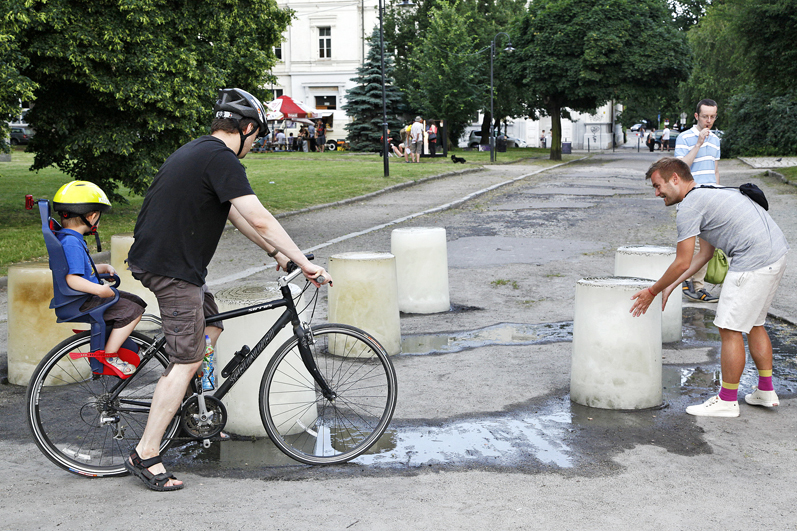 What were the priorities in the fight with water (my house, my street, the Old Town? The Ossolineum?). Is it possible, from a sociological point of view, to talk about the flood as giving rise to a long-lasting community, or was it just a one-off, fleeting burst of effort? Are there any traces of this event left in our memory and identity? On a barge in the Gondola Bay, Marek Pawlak chaired a discussion titled ‘Flows, Trans-fussions, Erosions. On Boundaries and the (Im)possibility of Transgressing Them’. 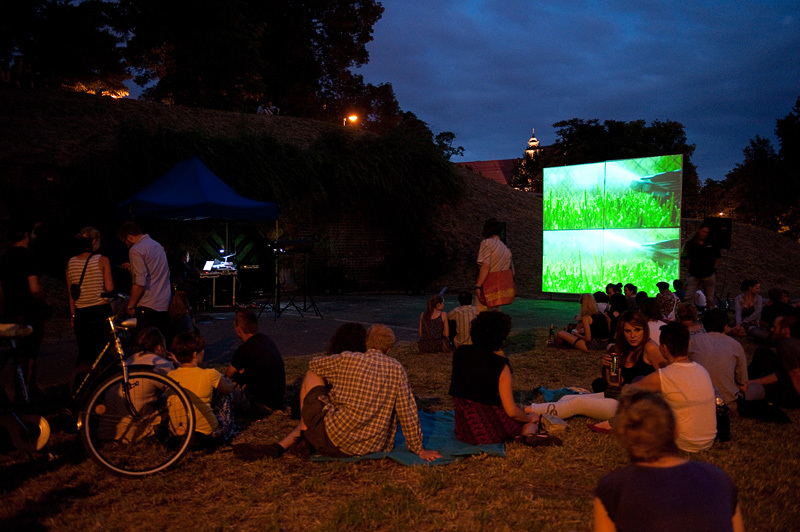 The main subject of the debate is dual in nature: on the one hand, it revolved around the category of a boundary and its meaning in the contemporary world; on the other, it concerned a certain paradox which combines popular neoliberal postulates of mobility with the frequent impossibility of crossing borders – those connected with the institution of a nation-state and nationalism as well as those referring to the local character of socio-cultural practices. 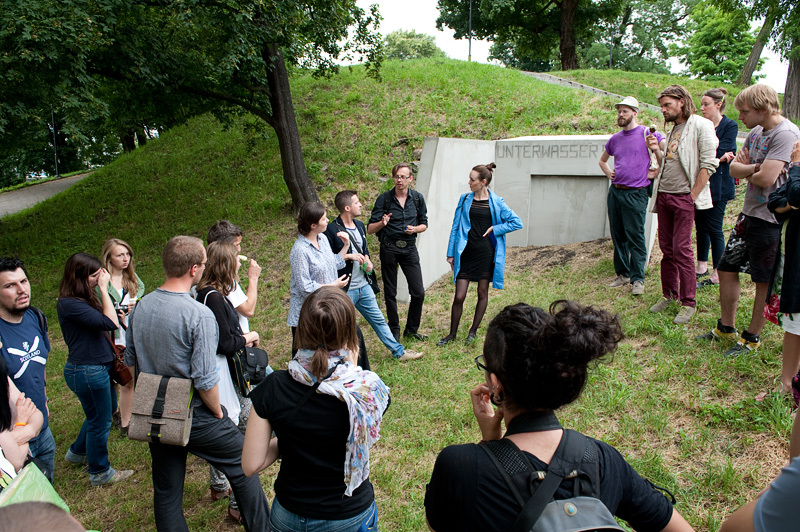 This year’s series of SURVIVAL debates came to an end with a discussion about the motive of the riverin art and artistic installations situated in/on the water. 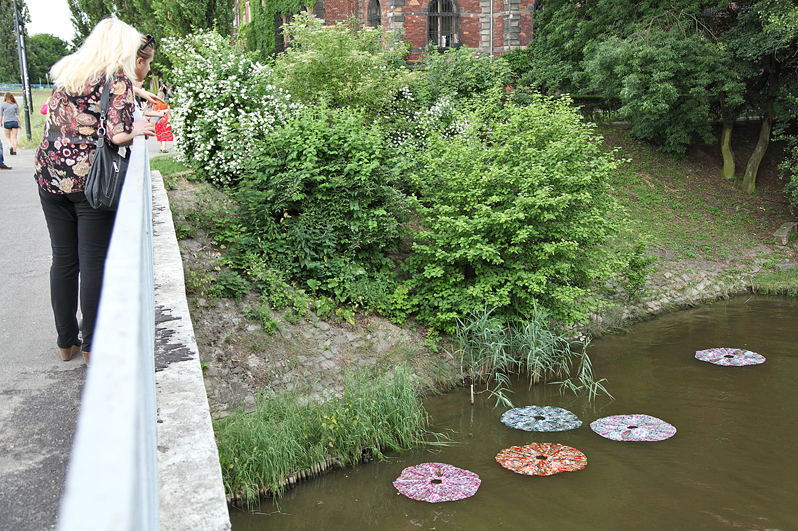 In contemporary art, the river and its surroundings often constitute an inspiring space for a multitude of art actions (painting, installations as well as socio-artistic actions). Apart from artistic value, they are used for raising environmental awareness. The river is not just a motive but frequently it becomes material and co-creator of an artwork. Does the boundary between a work of art and nature become blurred in that case? Does using nature in the process of creation, which introduces an element of changeability and indeterminedness, result in the artwork being constantly processual? Going down a river, man becomes its part and everything around him seems different – does that mean that artists’ perception of the world from the perspective of a changing river makes it possible to see more? To see better? We also had a chance do discuss the issue of contemporary art audience and cultural education outside of main events of SURVIVAL Art Review. 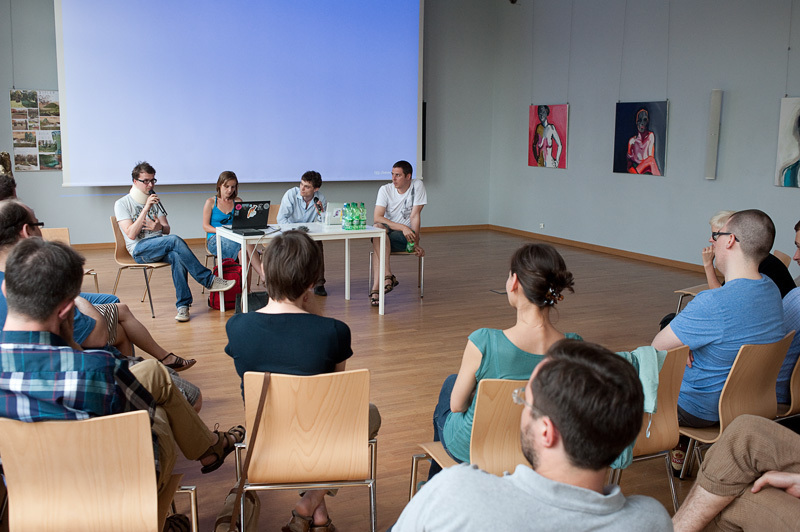 About the problem of adult education we talked during the visit in Museum of Contemporary Art in Wrocław. During the special meeting with policymakers from Wrocław (Jaroslaw Obremski – Senator of the Polish Republic, Krzysztof Maj – Director of the European Capital of Culture 2016) we had a chance to discuss the matter of “City, policy, art, audience”. I like The eleventh edition of SURVIVAL Art Review. It was dedicated to the presence of a river in cityspace. Nice pics..